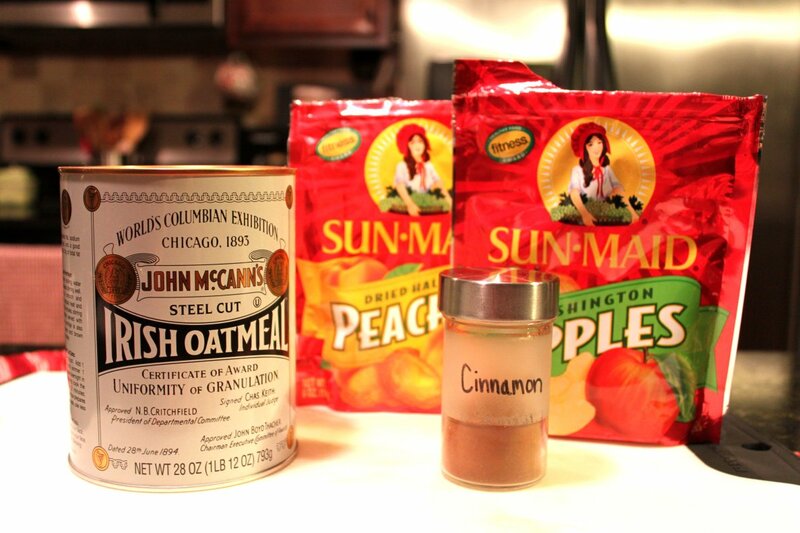 Anyway, our task at hand - Overnight Oatmeal. 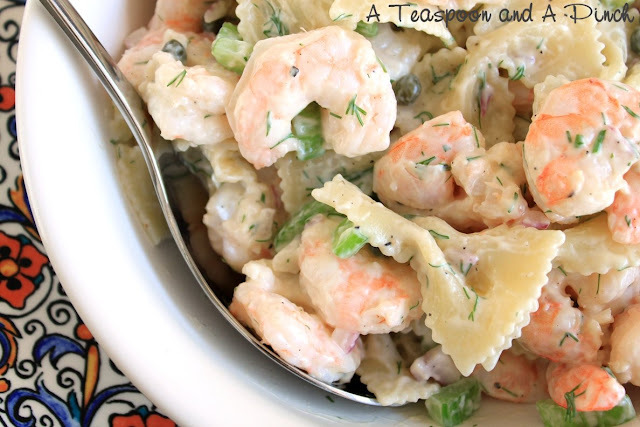 I adore this recipe. It's only a few ingredients that you toss into a crockpot, and when you wake up the next morning, it's cozy warm breakfast time with zero effort. 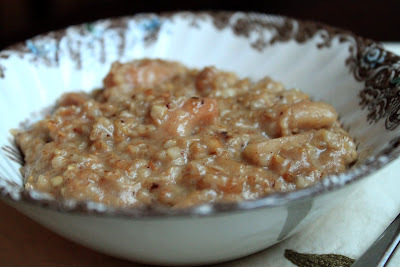 The oats cook up fluffy, almost like a tapioca pudding. And the recipe itself is a cinch to remember: 8 hours, 8 cups, 2 cups, 2 Tbsp, 2 tsp... Something about easy numbers makes my heart skip a beat. 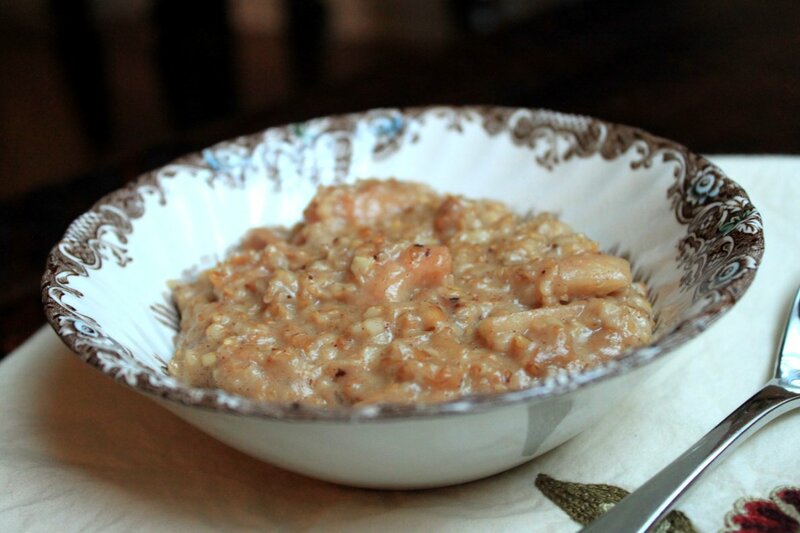 Stir all ingredients together in a slow cooker. Cover and cook on low for 8 hours overnight. In the morning, stir well and add milk, spices, or additional toppings to your liking. To reheat, add water or milk and cover tightly with plastic wrap. Microwave until steamy, and stir before serving. Makes 8 1-cup servings. 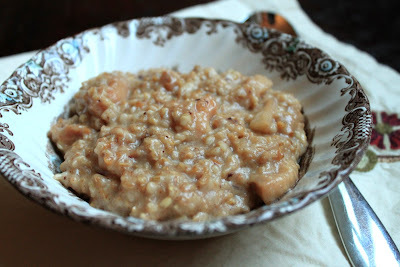 Steel Cut Oats are very coarse (and remind me of chicken feed, lol). because other kinds will just turn to gross mush after 8 hours. Excellent recipe. I love steel cut oats, but they unfortunately aren't gluten free. And there are no limitations on the bells and whistles to add to oatmeal, our favorites are ground flax seeds (super antioxidant and fiber power) and frozen blueberries. 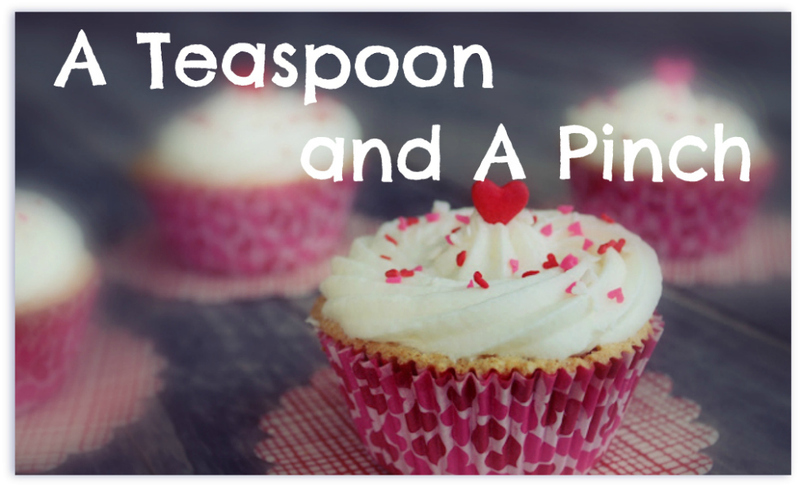 I love using a similar recipe made with 1/2 and 1/2 and vanilla too. 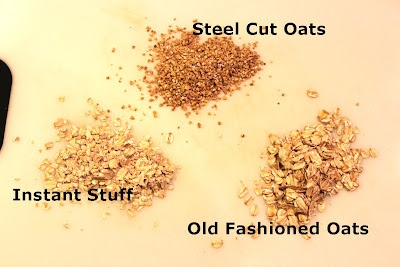 I have found that you can buy steel cut oats in the bulk section of the health food grocery stores for a lot less money. I love the addition of dried fruit. I will have to try that. Thanks for this post. I've tried this a couple years ago but didn't write down the recipe and couldn't remember the proportions. I didn't add butter but would expect that anything cooked with butter is good.